A few years ago, I made photos when taking breaks from writing my book, The Uncontrolling Love of God. ​Here are four of them. More will follow in future issues. Enjoy. Finding the color amid the dull requires a particular stance toward the world. I made this photo while hiking Idaho’s Sawtooth Mountains. Fall leaves covered the earth beneath me, and most had lost their chlorophyll. I looked across the landscape and saw trees whose limbs looked like the bone of a skeleton trees. The terra firma stretching before me was mostly grey. 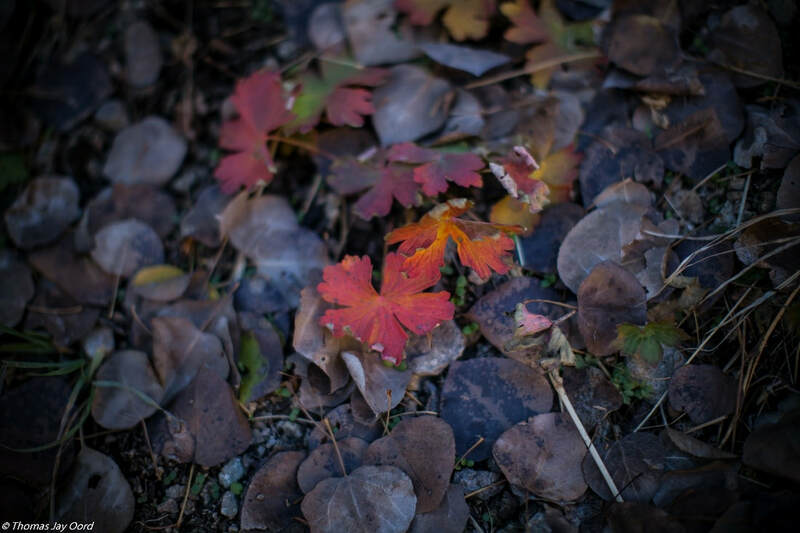 But I had determined to look for color, and this red-yellow leaf caught my attention. Would I have noticed had I not prepared myself to see? Would I have hiked past, looking elsewhere for something of interest? I don’t know. But I’m confident that preparing to see the color in life inclines one to see more of color than one otherwise might. Intention matters. Is this how faith in God works? Do only those who want to see God end up, by faith, seeing God? Or can God “appear” to those not intending to encounter the divine? I think Stegner’s right. But his statement is not just true of the USA. Any country that sets aside land for preservation of beauty acts in its best interest and the best interest of the world. I made this fall photo at one of the least-visited national parks in the USA: Great Basin. It sits near the Nevada-Utah border as an isolated mountain surrounded by desert. In addition to the beautiful fall colors, Great Basin National Park hosts a large number of Bristle Cone pine trees. These scraggly trees are thought to be the oldest living trees on the planet. Being present to beauty like what we find in Great Basin inclines me to protect it. It makes me think the work done by groups like Toward Ecological Civilization really matters. ​I suspect that I would not feel so strongly about protecting these beautiful places had I never visited them. And if this is true for me, it’s likely true for others. 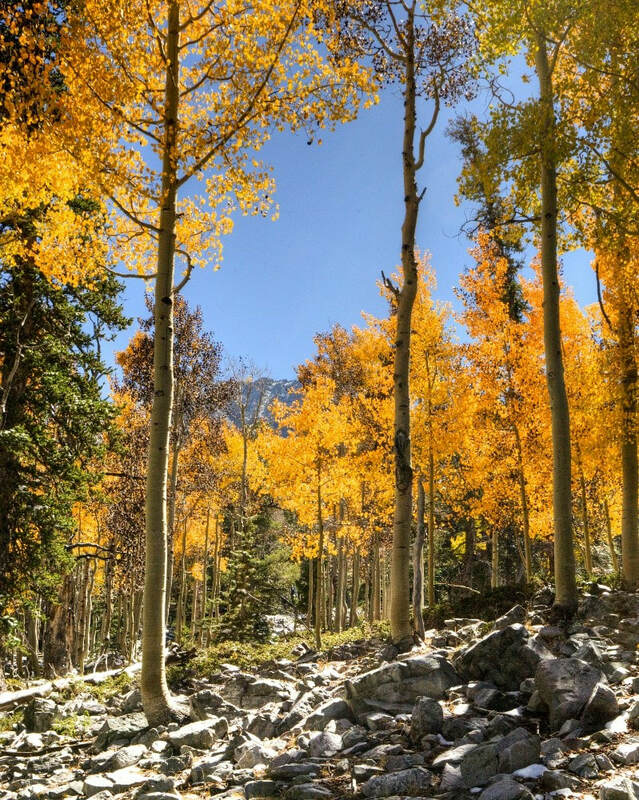 Wonderful places like Great Basin, with its wonderful trees, remain relatively unknown and even less visited. In addition to working to preserve the world’s ecosystems, I also encourage others to visit them. Grace is a word with two seemingly unrelated meanings. 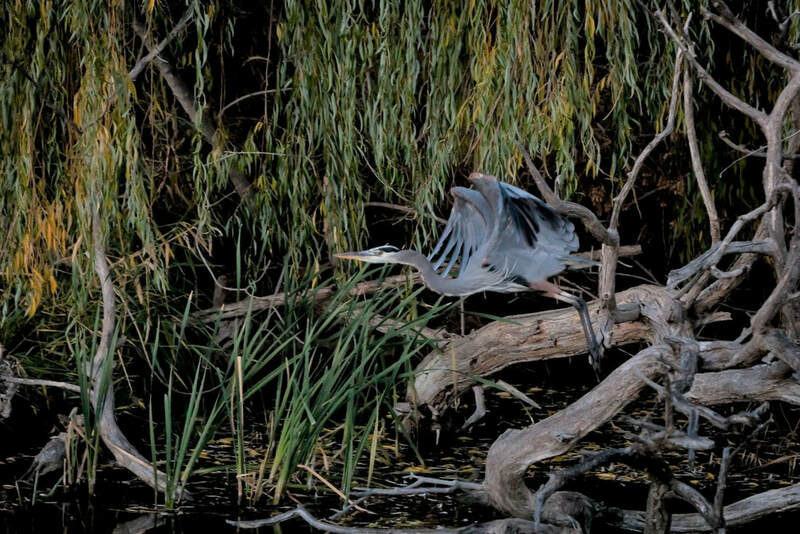 I made this photo of a Blue Heron gracefully flying near Marsing, Idaho, in the USA. I often spend time near the pond this heron frequents. I sneaked up on it to make this photo, capturing its elegance as it took flight. The heron took flight gracefully into the darkness. Grace is also a theological word, but what exactly grace means theologically is disputed. Many define it as God’s “unmerited favor.” God acts positively toward us despite our not earning this positive action. The “unmerited” aspect inclines some to think first about human sinfulness and depravity. Despite our wrongdoing, rottenness, and unworthiness, they say, God acts for our good. This approach begins with what’s wrong with us and then says God loves us anyway. Others think “unmerited” refers to God’s love necessarily expressed toward creation. “Unmerited” points first to God’s nature of love and secondarily to the state of those who receive that love. In this view, the relative badness or goodness of creatures is of no ultimate consequence: God loves necessarily. ​As I look at the photo, I wonder: Do Blue Herons fly gracefully because gracefulness is their nature? Or is their graceful flight a product of a photographer like me sneaking up to make a photo? Whiskey Mountain outside DuBois, Wyoming hosts one of the largest concentration of Rocky Mountain Bighorn sheep. 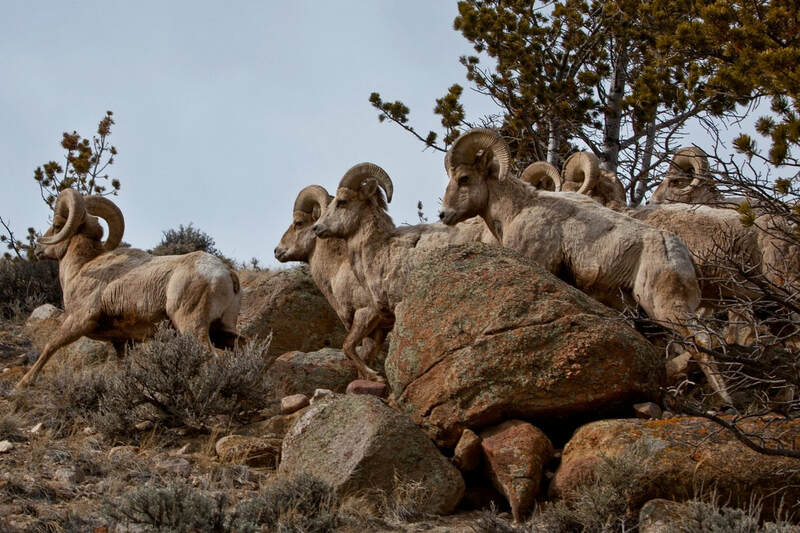 During the fall season, Bighorn rams compete for ewes by having butting contests. They charge and crash their horns with a cracking sound that can be heard more than mile away. The winner of the horn smashing competitions earns the right to breed with females. Activity in nature prompts me to consider morality more generally. Is this annual warfare among Bighorns positive or negative? Is violent competition something to be celebrated or something to be shunned? No doubt, competition can bring out the worst in us. We sometimes valorize winners and despise losers. And sometimes we undermine well-being in our attempts to “win.” A culture based on competition can lead to ignoring the last, the least, and the lost. But does this mean competition is inherently evil? As I hike and observe the work of nature, I’ve come to think competition is neither inherently evil nor inherently good. Competition can be means for making the world better or worse, depending on the context. ​Perhaps morality comes into focus if we look beyond the either/or of competition and cooperation to the questions of well-being, flourishing, and love. Thomas Jay Oord is a theologian, philosopher, and scholar of multi-disciplinary studies. Oord is an award-winning author, having written or edited more than twenty books. Oord is also an accomplished photographer and gifted speaker. He is known for contributions to research on love, open and relational theology, science and religion, and the implications of freedom and relationships for transformation.